Super Kitty Bug Slap Review - A Quick Family Card And Dexterity Game — GamingWithSwag.com - Dads By Day, Gamers By Night. 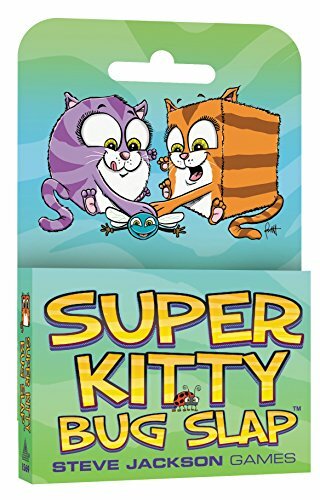 Introduction/Overview: Super Kitty Bug Slap is a quick family card game that rewards the quickest paws. Plays in about 20 minutes. Gameplay: The game is for 3-5 players and you take turns being the dealer and the other players are dealt a Cat card and their task is slap any cat that is flipped by the dealer that matches their cat's color, shape, or accompanying insect (Fly or Ladybug). The majority of the cards will apply to more than one player so it is a race to slap it first which will net you a point for each round, but if you slap a card that doesn't match you lose 2 points so you can't be reckless. Rulebook: The rulebook is folded up to a size similar to a card and the game isn't very complicated so nothing more is warranted. A single read through and you could lose it without fear. Theme: A strong theme for kids who have likely seen cats in real life or on youtube swatting at laser pointers or mice. Set-Up/Takedown: Shuffle, deal out the player cats and start swatting. Components: The deck is 52 cards with 4 being yellow rimmed player cards. The cards are durable enough to bridge shuffle and can hold up to being repeatedly slapped. The box is pretty typical for a deck of cards but has some extra display cardboard that you could fold or cut off to make it small enough to put in a pocket. Or just wrap the cards in a rubber band and toss it in the game cabinet. 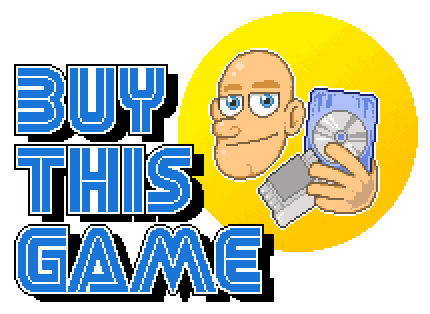 Final Thoughts: The game is simple but fun, and the best value I see in the game is that it is one of the few games that are fun to play with mixed age groupings. For my review play testing with visiting family I played with my niece who is 6 years old, two high schoolers, and some full blown adults and they had a raucous good time. I have few games that can entertain that range for very long before somebody gets bored. The game might be a little bit too chaotic with only 6 year-olds unless an adult was dealer to control the pacing and rule on contested swats, but in a mixed group this is a great game to keep everyone engaged. For less than 10 bucks any family party game has value, and with younger players you could argue it has developmental benefits making the game a solid buy. If you don't have kids I could see a drinking game develop with very little effort. Reasonably nerdy Dad who often chooses gaming over sleep, to his own detriment. "That loot isn't going to gather itself." Gaming With Swag may receive a small commission when clicking on the links on our website.